Director Marc Forster's follow-up to Monster's Ball is Finding Neverland, a tale of magic and fantasy inspired by the life of James Barrie, the real-life author of the children's classic "Peter Pan". Set in London in 1904, the film follows Barrie's creative journey to bring Peter Pan to life, from his first inspiration for the story up until the play's premiere at the Duke of York's Theatre - a night that will change not only Barrie's own life, but the lives of everyone close to him. $220.524 thousand on 8 screens. 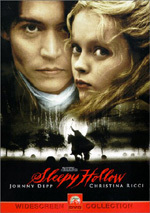 During the commentary for Finding Neverland, the filmmakers mention that they considered the title JM Barrie’s Neverland. They rejected it because they thought only Peter Pan fanatics would recognize the author’s name. I don’t agree with that; while I suppose many folks think Walt Disney created the character, I think Barrie maintains pretty good name recognition. Whatever the case may be, since it focuses on the author, Finding Neverland should ensure that more people know of his work. Set in London circa 1903, Neverland launches with opening night for a new play written by Barrie (Johnny Depp). To the disappointment of Barrie, wife Mary (Radha Mitchell) and producer Charles Frohman (Dustin Hoffman), the play stiffs. When Barrie takes his dog to the park, he meets widow Sylvia Llewelyn Davies (Kate Winslet) and her four sons: Michael (Luke Spill), Jack (Joe Prospero), Peter (Freddie Highmore) and George (Nick Roud). Barrie entertains them as he plays with dog Porthos, and they meet up again on future occasions. This lights up Barrie’s imagination and eventually inspires him to write Peter Pan. However, his interactions with Sylvia and the others don’t come without a price. Of the four boys, Peter presents the biggest challenge. He took his father’s death the hardest and acts in an aloof, distant manner. In addition, Mary clearly doesn’t approve of Barrie’s dalliance with Sylvia, though she views the situation as an opportunity to move up socially; Sylvia’s mother is Emma du Maurier (Julie Christie), a notable in posh circles. Unfortunately, Emma frowns on Barrie’s involvement with the family, so a dinner with all involved goes poorly. Those issues play a part in Neverland, though they don't act as the major topics. Instead, Barrie's relationships with Sylvia and the boys - especially Peter - come to the forefront. Matters intensify when Sylvia takes ill, and the movie follows what happens to all involved and the development of Peter Pan. When I saw the previews for Neverland, I thought they failed to give the movie a good sense of identity. The ads combined fantasy, drama, and comedy in such a way that it looked like the film didn’t know what it wanted to be. This doesn’t mean I think flicks can’t combine all those elements and still work well - 2003’s Big Fish did the trick - but the varying genres create a challenge. Unfortunately, Neverland only sporadically lives up to that challenge. 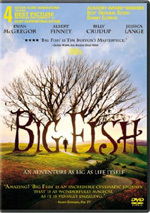 Indeed, I thought of Big Fish quite a lot as I watched Neverland. The latter shoots for a Tim Burton style of whimsy, but it usually fails to deliver. The fantasy mostly comes from the way we see Barrie’s view of events. For instance, when he watches the stern Emma reprimand one of the boys, she mutates into Captain Hook in Barrie’s mind, and we see that change. This sounds like a good idea but fails to mesh with the events; it feels forced. Other filmmaking techniques strike me as self-conscious. For example, when Peter has a tantrum, the camera goes hand-held. The transition moves awkwardly and jars the viewer in an unintended manner. These choices simply come across as examples of the director trying too hard to impress and they don’t serve the story. While a little comedy appears, mostly the film concentrates on melodrama. Matters grow more and more leaden as it goes. Sylvia’s illness becomes a big issue, but we also have marital discord and Peter’s maladjustment. While these should add depth to the piece, mostly they just distract from what I’d like to see: the creation of a classic. There’s a good nugget of a story in place, as it’d be cool to hear more about what really happened to influence Barrie’s play, but largely the film presents a saccharine look at the personal concerns. To its credit, I will acknowledge that Neverland offers some very effective moments toward its end. I won’t go into the details because they may involve spoilers, but the film’s conclusion finally manages to blend the fantasy and emotion in a very satisfying way. It’s the only moment of true, earned feeling in the entire flick, as for one brief segment, it transcends the gooeyness to become moving and magical. Unfortunately, it’s a struggle to watch much of the rest of the film. The movie devolves into too much sappy melodrama and fails to deliver a lot of compelling material or real emotion. The ending redeems things to a degree, but it doesn’t alleviate the tedium of the rest of the flick. 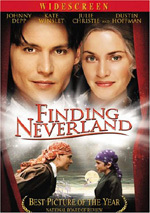 Finding Neverland appears in an aspect ratio of approximately 2.35:1 on this single-sided, double-layered DVD; the image has been enhanced for 16X9 televisions. Although much of the movie presented good visuals, enough issues cropped up to knock this one down to a “C+“. A number of the concerns connected to sharpness. While most of the flick displayed acceptable clarity and definition, more exceptions than usual occurred. Quite a few shots demonstrated mild softness, and it lacked the expected levels of detail. No problems with jagged edges or shimmering popped up, but I saw moderate edge enhancement throughout the flick. 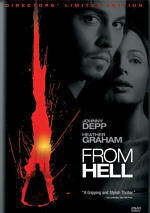 No signs of source flaws appeared, though the movie often looked grainer than usual. Much of Neverland went with a subdued palette. Cool greens pervaded much of the flick, and the tone stayed restrained most of the time. A few of the fantasy sequences brought out more vibrant hues, and the colors consistently seemed true to the production design. Blacks were deep and natural, while low-light shots depicted good delineation. The softness, edge enhancement and graininess were the movie’s biggest distractions, and they’re what led to the “C+“ grade. Although the Dolby Digital 5.1 soundtrack of Finding Neverland boasted more ambition than I expected, it still stayed with a generally restricted presentation. Mostly the mix emphasized general ambience. The fantasy sequences added greater spark, and various elements moved around the spectrum pretty well. Nonetheless, things usually stayed calm, with good stereo imaging and some useful environmental elements. The surrounds added solid reinforcement - especially during storms - and the occasional unique piece, but they were usually restrained. Across the board, the movie demonstrated good audio quality. Speech was consistently concise and natural, and I detected no edginess or issues with intelligibility. Effects rarely taxed my system, but they were accurate and well-defined. They showed good range. Music was bright and vivid and also offered solid dimensionality. There wasn’t much to impress, but the audio of Neverland was perfectly satisfactory. Only a smattering of extras round out the set. The main attraction comes from an audio commentary with director Marc Forster, producer Richard Gladstein, and writer David Magee. All three sit together for this running, screen-specific discussion. Though the commentary covers a lot of good topics, it never quite congeals to become something special. We do hear about a lot of production topics. The men provide notes about the cast and their work, improvisation, comparisons between fact and the movie’s fiction, the script and changes made along the way, costumes, locations, music, and various filmmaking decisions. Quite a few nice details emerge along the way, such as how Dustin Hoffman was supposed to read some of Hook’s lines from the play but refused, and the three men interact in a genial and natural way. I also like the remarks about alternate titles, and the participants even note that they don’t much like the final choice of Finding Neverland. So why do I view this as a less-than-stellar commentary? Because some of the usual problems emerge along the way. Dead air isn’t a big problem, but it creeps in at times. The tendency toward praise for everything and everyone involved turns into a bigger nuisance, though, and those elements drag down the track with moderate frequency. Nonetheless, this remains a fairly informative and enjoyable piece. Next comes a 16-minute and five-second featurette called The Magic of Finding Neverland. It mixes movie clips from Neverland as well as Peter Pan and other flicks from the participants. We also see shots from the set and interviews with Forster, Magee, Gladstein, producer Nellie Bellflower, author Andrew Birkin, Great Ormond Street Hospital’s Kit Palmer, and actors Johnny Depp, Kate Winslet, Joe Prospero, Nick Roud, Radha Mitchell, and Dustin Hoffman. They discuss the continuing appeal of Peter Pan, the plot and theme of Neverland, the cast and their talents, the director and his style, the original stage production of Pan and related elements, prior film versions of the play, and the production’s beneficial legacy. Since “Magic” runs a little longer than most promotional featurettes, I hoped it would present some substance. Unfortunately, it stays with very superficial matters. I learned a little about the history of Pan, and it was slightly cool to get glimpses of other films with Depp and Winslet, but I didn’t find much of interest here. The featurette failed to inform us about useful issues. In Creating Neverland, we get a three-minute and four-second piece. It looks at the visual effects with film snippets, behind the scenes elements, and comments from Forster, visual effects designer Kevin Tod Haug, and visual effects producer Leslie McMinn. They talk about the styles used for the fantasy sequences and how they were executed. It’s too short a program to be terribly meaningful, but it packs some decent information. At least it’s better than “Magic”. For the final featurette, we find On the Red Carpet. It runs a mere two minutes and 24 seconds as it shows some of the cast and crew as they enter one of the flick’s premieres. Hillary Clinton shows up too! They all tell us what a wonderful film it is but not anything else. It’s mildly interesting as a glimpse of an event, but it’s way too fluffy to be worth much. Three Deleted Scenes appear next. These last a total of two minutes, 33 seconds and are titled “Pretend You Still Care” (48 seconds), “Only Grown-Ups Can Have Children” (0:36), and “Depending on JM Barrie” (1:02). The first shows more tension between Barrie and his wife, while the second depicts a quick interchange in which Barrie tells Michael why he doesn’t have any kids. Finally, “Barrie” gives us a comic look at Sylvia’s growing dependence on JM. None of them are very interesting, so they all were sensible cuts. We can watch these with or without optional commentary from Forster, Gladstein and Magee. They let us know where the scenes would have come in the movie and also explain why they were removed. The participants provide a good overview of those issues. A five-minute and 32-second collection of Outtakes follows. Though I normally dislike these batches of foul-ups, this one works better than usual. That’s largely because of the way Depp reacts to mistakes as well as his improvs. Some of the shots of Pan actors as they fly into walls become amusing too. When the DVD opens, it provides some ads. We get trailers for Dear Frankie and National Treasure. Both of those also appear in the Sneak Peeks area along with a promo for Miramax’s 25th Anniversary. No trailer for Neverland appears here. Although Finding Neverland occasionally fires on most cylinders, it falters too much of the time to become a generally fulfilling film. Honestly, parts of it go into TV movie territory due to various obstacles that occur. The ending works, but the rest of it stutters. The DVD presents erratic picture with subdued but satisfying audio and a small collection of extras highlighted by a frequently engaging commentary. Despite a few effective moments, Neverland disappoints on too many fronts for me to recommend it.